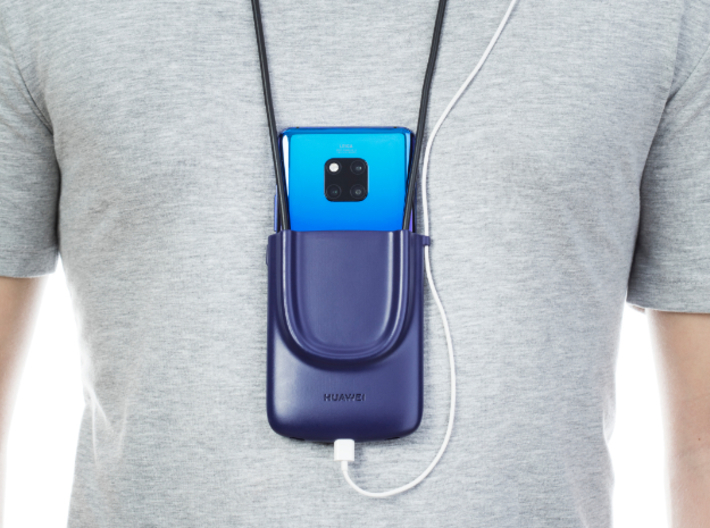 The holder is designed to make the use of the Huawei Mate20 Pro and “Facing Emotions” app more intuitive for the blind and visually impaired. 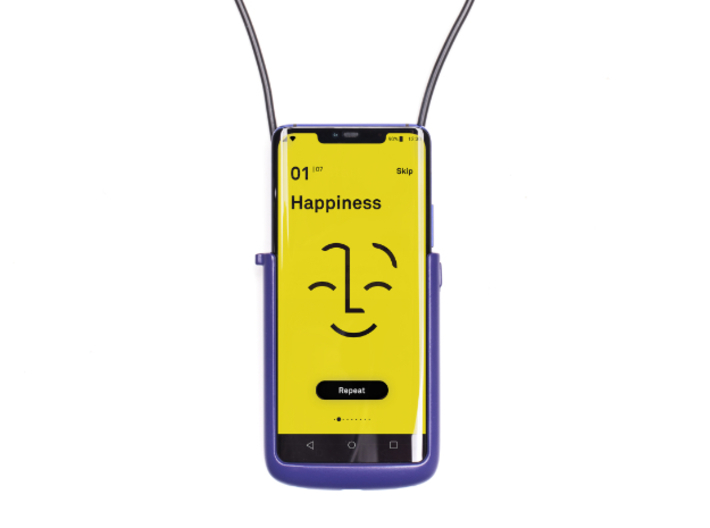 Worn around the neck, the holder allows the phone to be used comfortably in different circumstances, for example when using the Facing Emotions app, and also for general use in traffic, or on public transport. 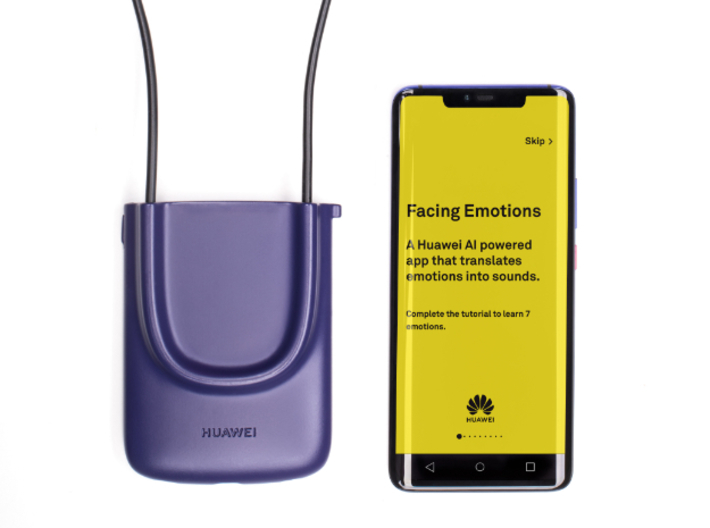 Facing Emotions is an AI-powered app that translates emotions into sounds for the blind and visually impaired. Using the back cameras, the application scans the face of the person with whom the blind person is talking. AI then processes the identified emotion into a defined sound heard on the phone (or in the earphone the blind person is wearing). All of this happens in a real time and in offline mode. 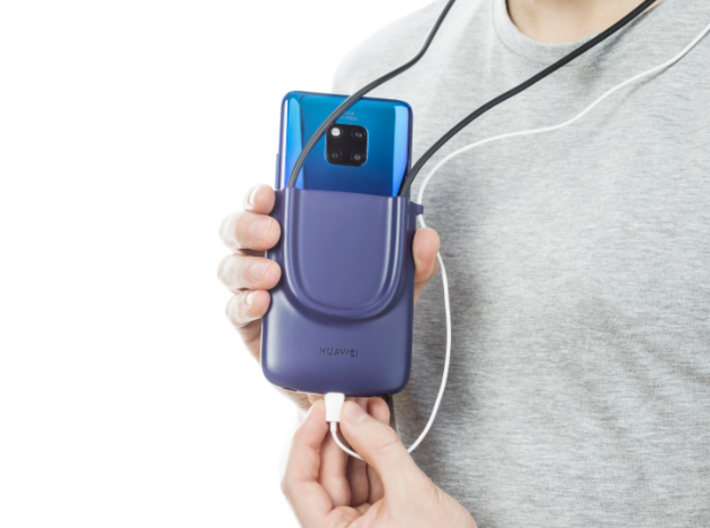 The case can also be handy when using other apps adapted for blind people such as Google Maps or TapTap.